We were recently asked to bring their fresh new brand to life on a spanking new site. As well as that, we got the opportunity to flex out photography skills – which was super fun. Fresh out of our workshop. A shiny new Proteus brand and website. 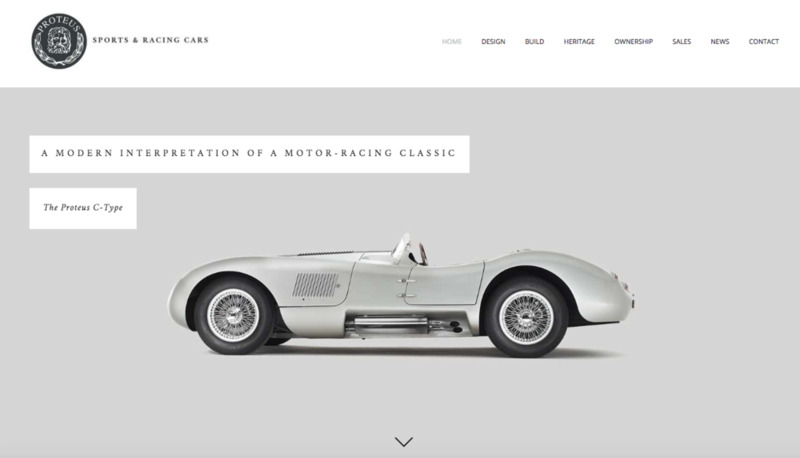 Working with the Proteus founder and his crack team of classic/racing-car engineers, we've created a new brand positioning, brand guidelines and a shiny new website from scratch. All centred around our brand core idea - where classic meets clever. Since relaunch, this brand activity has helped Proteus sell a new car too (they're £150,000 a pop, so no mean feat). Our lovely Marsh&Parsons bus 'supersides' are out and about on the roads of London. Spotted one yet?